The Séduction / VS cognac is distinct by the harmonious balance of its various aromas. The notes of vanilla match up subtly with those of dried figs. 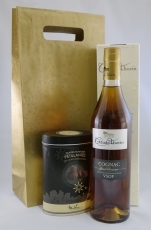 This cognac has a golden colour and is round in the mouth. It will be ideally served as long drinks or in cocktails. This cognac is the result of a blend of many cognacs. It's a round cognac with subtle aromas of orange blossom, grapes and vanilla. Väga elegantne ja pehme VSOP konjak ja Prantsuse ökotootja suussulavad Fizzy trühvlid kinkekotis. 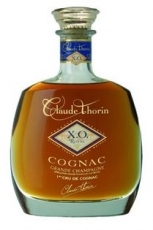 This cognac is typical of the Grande Champagne. 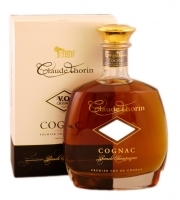 It is characterized by a complexity of aromas with orange blossom and vanilla notes.The good persistence in mouth of these aromas qualifies a great and harmonious cognac.